Improving the patient experience can sometimes seem at odds with the influx of new healthcare technology initiatives, many of which struggle to deliver on usability and efficiency. Digital wayfinding can seem similarly complex but when implemented strategically, offers a user-friendly experience that is a win-win for you and your patients and visitors. 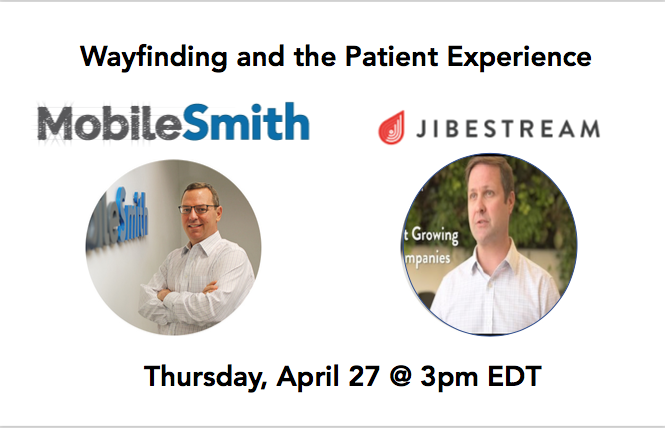 Join us for our latest webinar as we look at wayfinding from the patient’s perspective, improving their experience before they ever walk through your door. With a consumer mindset taking hold in healthcare, you can’t afford to miss this unique opportunity to establish a positive relationship at the outset of their journey through your health system. We’ll also discuss how to implement and scale a wayfinding solution, various technology options and advantages of each, and how to effectively build and deliver your wayfinding app.